John Gotti with his coaches, David Diamonte, Triton Fights co-owners, Eric Ott, and Ring Girl. 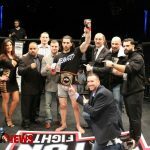 Triton Fights 1 took place in front of a sold out crowd at The Space at Westbury on Long Island, New York. John Gotti defeated Anthony Wolter in the headliner bout for the inaugural Triton Fights welterweight title. Destiny “The Cage Cutie” Quinones battled through Rio boxing Olympian, Jennifer Dugwen for the unanimous decision victory in the co-main event. The fights began at 8 p.m. kicking off ten bouts of mixed martial arts action, including five undercard bouts. 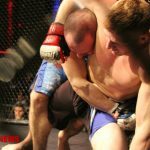 Triton Fights 1 impressed the fans with five submissions, four unanimous decisions, and one no contest. TF1 was a very young fight card. 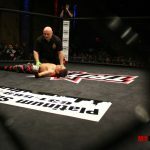 Eight fighters made their amateur MMA debut Friday evening and seven bouts were under New York State novice amateur rules. 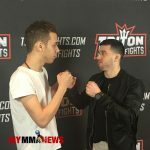 The potential of growth mixed martial arts in New York state is evidently growing as every fan packed into the theater Friday night witnessed Triton Fights crop of highly talented young warriors. Triton Fights is sanctioned by the United States Muay Thai Association (USMTA), a third-party sanctioning body licensed by New York State Athletic Commission. In the main event, John Gotti (5-1) delivered an impressive dominate victory in front of a sold-out crowd over Brazilian Jiu-Jitsu black belt, Anthony Wolter (1-1-1). Gotti controlled Wolter on the ground against the fence for about seven minutes of a nine-minute bout. Gotti applied powerful ground-and-pound to his opponent while in the full-guard position. 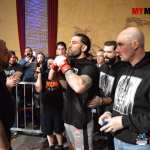 The Panza MMA/Long Island MMA fighter walked away with a unanimous decision victory by a score of 30-27, 29-28, 29-28. 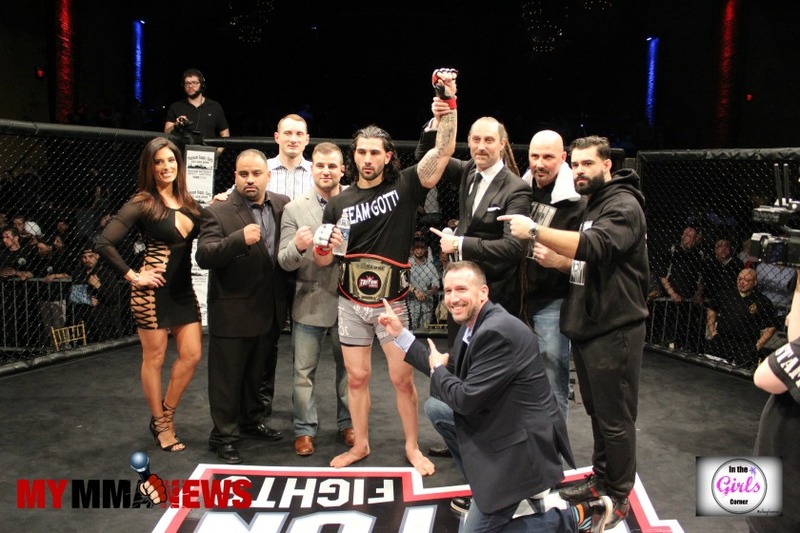 Gotti’s UD win earned him the Triton Fights welterweight crown and improved his record to 5-1. Gotti’s UD win earned him the Triton Fights welterweight crown and improved his record to 5-1. Gotti impressive victory over Wolter earned him My MMA News’ Performance of the Night honors. Destiny “The Cage Cutie” Quinones (4-8) fought a three round war against Jennifer Dugwen (0-1). Quinones stuck to her game plan in the first round. 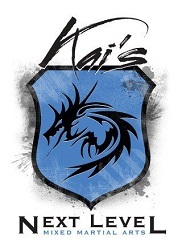 The Kai Next Level MMA fighter scored a takedown after power slamming Dugwen. Quinones continued to control Dugwen from the top position and nearly finished her foe with an Arm Bar in the first round. Round two went to Dugwen of Class one MMA. The 2016 Rio boxing Olympian Dugwen landed a few stiff shots to the chin of “The Cage Cutie” at the start of round two. On a takedown attempt by Quinones, Dugwen rolled through on Quinones to come out in top control. The remainder of the second round, Dugwen held Quinones on her back against the fence. Quinones stuck to her game plan and executed her strategy in the third round. She wasted no time to score a power double against Dugwen. From full guard, Quinones slid her knee over Dugwen’s knee and worked to side control then moved to full mount. 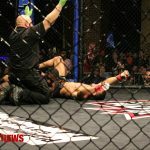 While in full mount, Quinones began punching the shoulders and arms of Dugwen (Novice MMA rules, No punches to the face of a grounded opponent). Thirty seconds remaining in the bout, Dugwen managed to escape from Quinones’ control. Quinones immediately leaped at her opponents legs grasping onto an ankle. Dugwen was stuck against the fence fending off a takedown attempt not being allowed to use her reach. These two women fought a war inside the cage in front of a loud audience. Dugwen and Quinones earned My MMA News’ Fight of the Night honors. Destiny “The Cage Cutie” Quinones (4-8) of Kai Next Level MMA defeated Jennifer Dugwen (0-1) of Class 1 MMA via Unanimous Decision, 29-28, 29-28, 29-28. Lightweight fighter Alex Oliveira (2-2) of Mantra MMA looked impressive in his submission victory over Donavan Levi (1-4). Oliveira struck Levi with a straight left before pressuring Levi against the fence and using an outside trip to take his opponent to the canvas. The Mantra MMA fighter moved into full mount and started to drop wicked strikes to Levi’s skull. Levi scrambled out from under Oliveira, giving up his back where Oliveira seized his opportunity sinking in a Rear-Naked choke. Oliveira defeated Levi in round one via submission at 2:05. Austin Wolfson (5-0) proved for a fifth time that he’s no slouch. Wolfson defeated Russell Pititto (2-1) in what many were considering this bout as the welterweight title contender match up. Pititto, fighting out of Over Under Jiu Jitsu/No Limits Kickboxing, tried to rely on his wrestling. 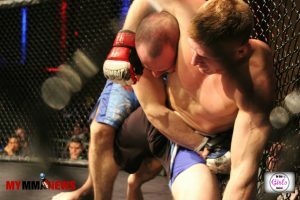 Wolfson (Bellmore Kickboxing) proved to be a very difficult fighter to drag to the canvas. In the first round, Pititto earned a couple of takedowns but couldn’t advance or hold the Bellmore Kickboxing fighter on the ground long enough to score via ground-and-pound. Throughout the first and second round, Wolfson applied heavy shots to Pititto’s body while his back was pressed against the cage defending Pititto’s takedown attempts. The third round was dominated by Wolfson as he controlled Pititto in the top position. At the sound of the final ten-second marker, Pititto shot out of a canon stealing the back of Wolfson but waited too long as bell rung ending the bout without even a submission attempt. Wolfson remained undefeated as he improved to 5-0 and is the clear favorite to compete for the Triton Fights welterweight title. Wolfson defeated Pititto via Unanimous Decision, 30-27, 30-27, 29-28. A battle of first name rights! 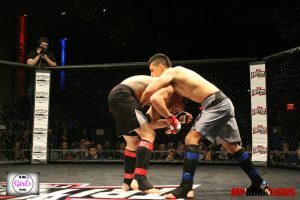 Johnny Shum (0-1) of NY Ultimate Fitness Zone versus Johnny Pierro (2-0) of UFC Gym – Staten Island. Pierro struggled to make the initial weight of 170-pounds for the weight class and is the fighter that shaved his full head of hair to make-weight. 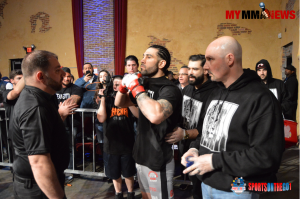 After making weight, inside the cage, Pierro showed zero signs of struggle as he earned a first-round submission. Pierro blasted through Shum with a power double landing in half-guard. 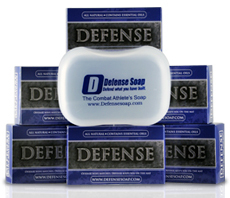 While in half-guard, the UFC Gym – Staten Island fighter rocked Shum with hard body shots. Shum eventually kicked Pierro off momentarily. Pierro climbed back on top of Shum like a grizzly bear and worked in an Arm Triangle choke to finish Shum in the first round, at 1:40. Pierro showed tremendous strength in his submission, normally most athletes can’t finish an arm triangle while parallel to their opponent. In a lightweight novice rules bout, Jose Rodriguez (1-0) battled Bryan Guerrero for three rounds. The final fight on the undercard went to the judges’ scorecards as Rodriguez used in-and-out striking and takedowns in round one to capture the lead. In round two, Guerrero (1-1) battled back behind kicks and knees in the clinch. Rodriguez caught Guerrero with a heavy shot and wobbled the Ultimate Fit Zone/Holy War Angel for a brief moment. Heading into round three, Guerrero behind on the scorecards stole round three with his more significant strikes and volume. Rodriguez appeared to be slightly gassed in the final round of the fight but hung on to pull out a strong win. The judges scored the fight 29-27, 29-28, 29-28, in favor of Jose Rodriguez (1-0) over Bryan Guerrero (1-1). Danny Maldonado (1-2) of Pure Heart fought Mamdou Nasr (1-1) of Kai Next Level MMA in a Flyweight fight. Maldonado’s strength played a strong role in his victory over Nasr, as he dragged Nasr to the canvas immediately to in the first two rounds. After holding Nasr down through the entire first round, Maldonado finished Nasr via Guillotine submission in round 2, at 1:37. This flyweight bout was the MMA debut for both athletes. 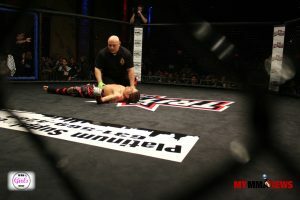 Rodriguez (Victory Martial Arts) defeated Rosario (UFC Gym – Staten Island) by way of submission. After a quick scrap and a scramble, Rodriguez (1-0) locked up a Leg Triangle choke finishing Rosario (0-1) in their welterweight debut. The choke came in round one, at 1:18. A solid potential match-up would be Rodriguez and Stepan Prokkopyak, who also scored a first round submission in his welterweight debut. Stepan Prokopyak (1-0) showed a high level of talent and great potential in his dominating victory Friday evening. Prokopyak defeated Mendez (0-1) of 5 Points Academy, in the first round. The Renzo Gracie BK fighter brought Mendez to the canvas and began delivering an assault of strikes upon Mendez. At the right moment, Prokopyak sunk in a deep Rear-Naked choke, finishing Mendez in the first round, at 2:36. In this featherweight match-up, Jardine (0-0-1) of UFC Gym – Soho, exchanged numerous blows with Santiago (1-1-1) before Jardine caught Santiago. Jardine dropped Santiago in his debut MMA fight at 2:11 in round one. What appeared to be a knockout, turned into a No Contest. 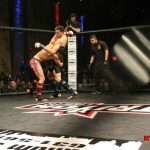 Jardine dropped his opponent but made the mistake of pouncing on and striking Santiago, a grounded opponent, to the face at least twice before being thrown off by USMTA referee, Alexius Phoenix. This bout was being fought under New York State’s amateur Novice Rules. The Novice Rules were designed to protect fighters and are required for any fighter participating in a bout with less than two amateur fights. A grounded fighter can’t be struck in the head by an opponent, according to Rule No. 33 under Fouls of Novice Division of USMTA’s rule book. Since Santiago was already out cold, the fight was over but when Jardine struck Santiago to the head, it is equivalent to a fighter being kicked in the crotch and unable to continue. The person kicking would receive the disqualification/loss. Since the fight was still only in the first round and Santiago couldn’t continue, it was ruled a No Contest, which was an excellent decision by the USMTA. 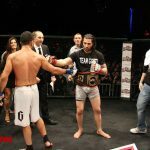 What’s Next for Triton Fights? Triton Fights returns to The Space at Westbury on April 28, 2017. Fighters and coaches are advised to get their names into Eugene Perez if you’re interested in participating at this event. 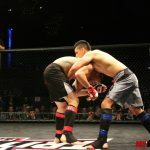 Triton Fights 1 was a great fight card with many bright young athletes. The amount of potential on Friday’s fight card was exciting. 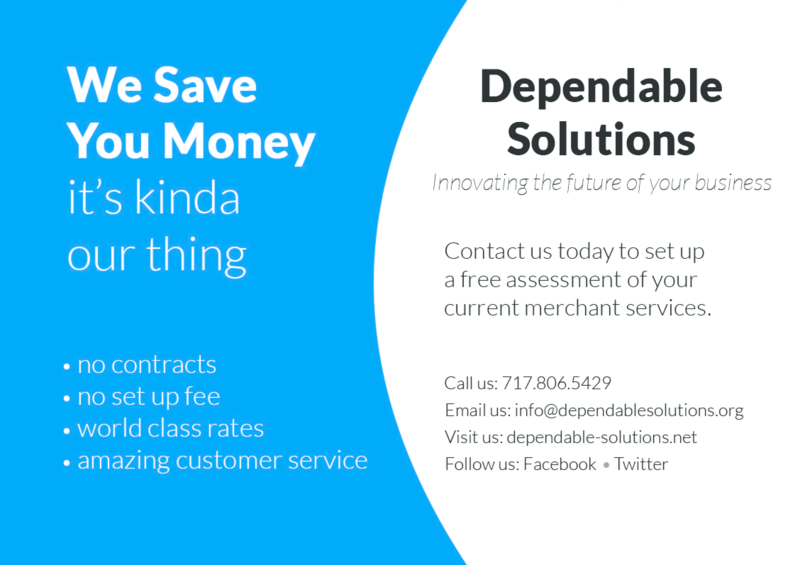 Also, Please email us (Name, Record, Gym, No. 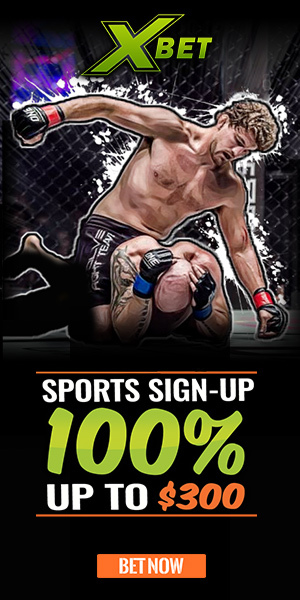 of KO’s & Submissions, Any Titles you hold) at Kyle@mymmanews.com to get your name ranked among the other amateur fighters in NYS. 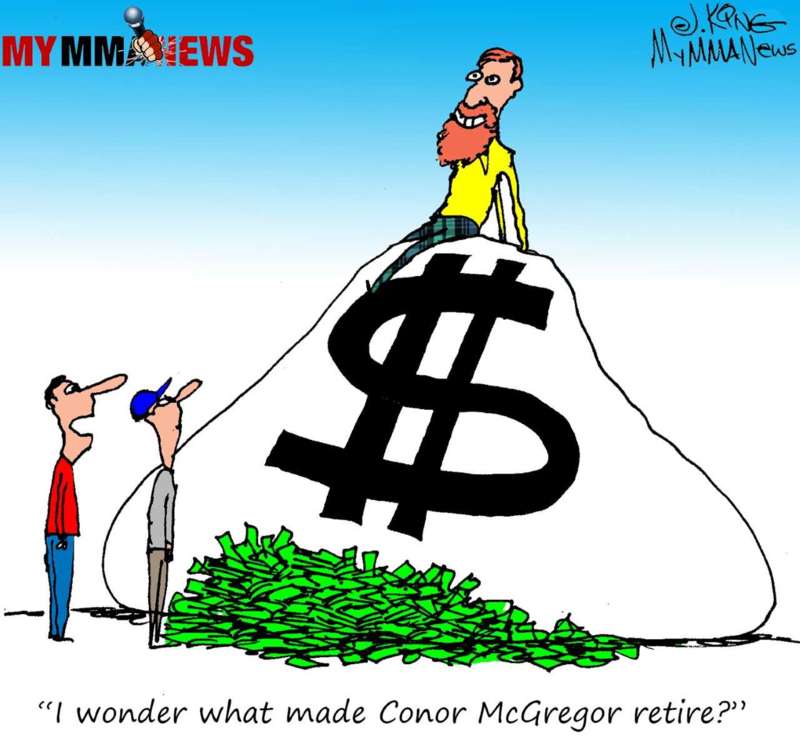 Follow us on Social Media at @MyMMANews.